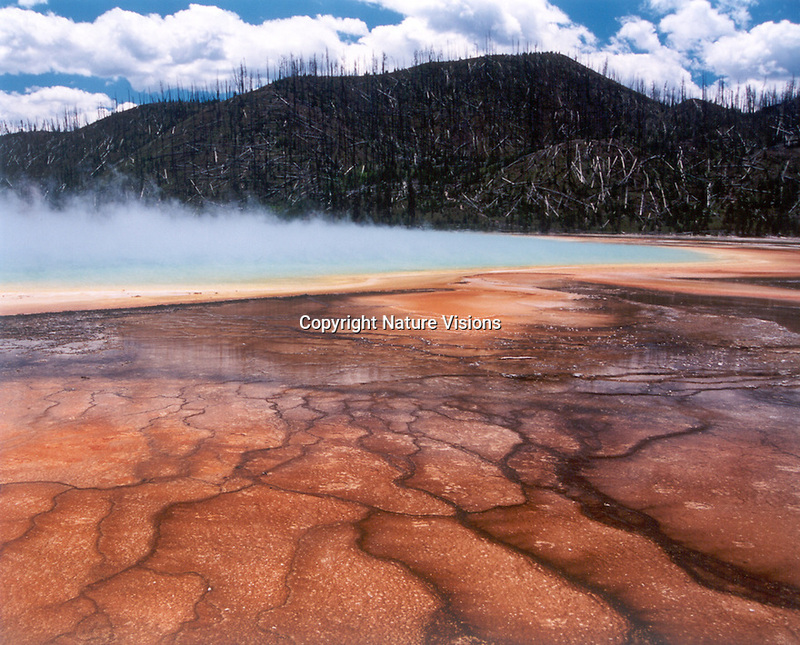 Steam rises from Grand Prismatic Spring located in the Midway Geyser Basin of Yellowstone National Park, Wyoming. It is one the largest hot springs in the world, at more than 370 feet wide and 121 feet deep. The runoff streams produce a rainbow of colors that are dependent on the temperature of the runoff water. Yellow bacteria are found in the hotter waters close to the spring; red and brown bacteria grow in progressively cooler waters.